Born 1967 in Patras/GR. 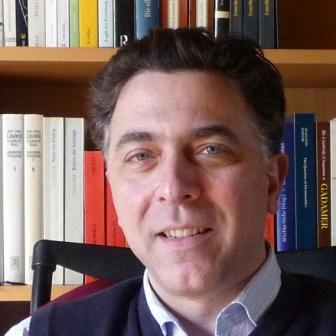 Studied Law in Athens and Philosophy in Tübingen (PhD 1996). Since then teaching and research in Philosophy: at the Universities of Tübingen, Heidelberg, Munich and Cyprus; at the Aristotle University of Thessaloniki; and at the Open Universities of Greece and Cyprus. Research and publications focus on Greek philosophy (Pre-Socratics, Plato, Aristotle), German Idealism (Hegel), Heidegger, and philosophical hermeneutics. Married to Xenia Loizidou and proud father of two daughters: Leda and Maria.